Our Tectorian of the Week is local video producer and filmmaker Dave Wallace. Together with Justus Lowry and the team at Innovate Image Works, Dave creates videos that really resonate, capturing the essence of whatever his subject happens to be. Most recently, Dave and Justus, together with spoken-word poet and Victoria city councilor Jeremy Loveday, have created a fantastic, moving video about Victoria. The VIATeC team used the video as part of a mission to show off Victoria this past week at SXSW in Austin, Texas. Dave and Justus’ job was to represent everything we all love about Victoria – the lifestyle, the weather, the live music, the beer, the coffee culture and much more. This video did all that and then some. It’s inspiring to see how they took a few bullet points and crafted this emotional story with Jeremy Loveday while marrying his words with the ideal imagery. As proud West Coasters, Dave and Justus just get Victoria, and seem to be able to effortlessly translate everything that make our island home so special into a compelling video that captures the heart. “I have worked with Dave on a number of projects that highlight Victoria, VIATeC and the tech scene,” says VIATeC CEO Dan Gunn. “For over a year, Dave, Justus and I have been meeting sporadically to develop the notion of a video love-letter to the city and I am blown away by their execution.They absorbed everything I, and many others have said, over a few coffees and produced the perfect outcome. It’s inspiring to see how they took a few bullet points and crafted this emotional story with Jeremy Loveday while marrying his words with the ideal imagery. Dave and Justus’ video is just one of the many treasures that can can be found on SomethingaboutVictoria.ca. The new website provides a unique and striking update on Victoria’s image, promoting everything from the all of the jobs available here to everything Tectorians love to do in their downtime. Whether it be attending music festivals to enjoying a beer (after grabbing a bite to eat) or exploring the outdoors, everything that makes Victoria so special to so many people is on this website, all with the aim of promoting our city to future Tectorians. So please check out SomethingaboutVictoria.ca, and watch the video. And if you see Dave, Justus and Jeremy, let them know you saw it and how it affected you. Our Tectorian of the Week is the entire Tectoria community. Why? Because, as the 2015 VIATeC Food Bank Challenge results demonstrate, we can all work together to as a true community to make a difference. In just the month of February, 2015 Food Bank Challenge participants successfully raised $47,135.76 in cash. The kicker: with the Mustard Seed’s purchasing power this cash amount essentially doubles! On top of the cash, 2015 VIATeC Food Bank participants also brought in 1790 pounds of food worth an estimated $4,500! During the 13 years the VIATEC Food Bank Challenge has now been running, total food and cash valued at $1,734,964.98 has been donated from Greater Victoria companies! Everything goes towards helping hungry families who have to rely on the Mustard Seed and other food banks to put food on the table. The Mustard Seed has said that spring is a challenging time of year to receive donations, so these donations are especially helpful. Who Were the 2015 Food Bank Challenge Winners? There were some insanely close races in both of the two categories. In fact, participants were able to triple donations in the final week, which just shows how hard our community battled for supremacy. Congratulations to the winners! It’s all about making a difference to families in need in Victoria, and helping build, maintain, and strengthen community bonds. FTS – Forest Technology Systems Ltd.
We’re looking to use this year’s success as a springboard for even greater achievement next year. If you and your company are interested in taking the challenge next time – express your early interest now by contacting Devan McCannel: dmccannel@viatec.ca! RevenueWire’s Hilary Brunsdon is our Tectorian of the Week. Why Hilary, and why now? For one thing the RevenueWire team rose to the occasion in February when they raised food and donations for the VIATeC Food Bank Challenge. We’ll be announcing the results – and the winning teams – next week. But this massive community initiative can already be counted as a success. The Mustard Seed struggles to meet demands after the holiday season, so this year we moved the challenge to the time of year when it is needed most, and the participants stepped up and meet the challenge! It’s people like Hilary and her fellow Tectorians at RevenueWire that have helped transform Victoria’s tech sector a true tech community. Her colleagues at RevenueWire also tell us that Hilary is passionate about what she does, that she loves people and her role as an HR coordinator. On top of that, Hilary is sincere and easy to approach, and this makes her a great – and fun – colleague to work with. We have noticed all of these qualities in Hilary too, as she is a regular visitor here at Fort Tectoria. Hilary also is the living proof that you can stay in Victoria and create an awesome career. The Camosun Business & Leadership grad has worked in a number of positions at a bunch of interesting employers before finding her current home at RevenueWire. 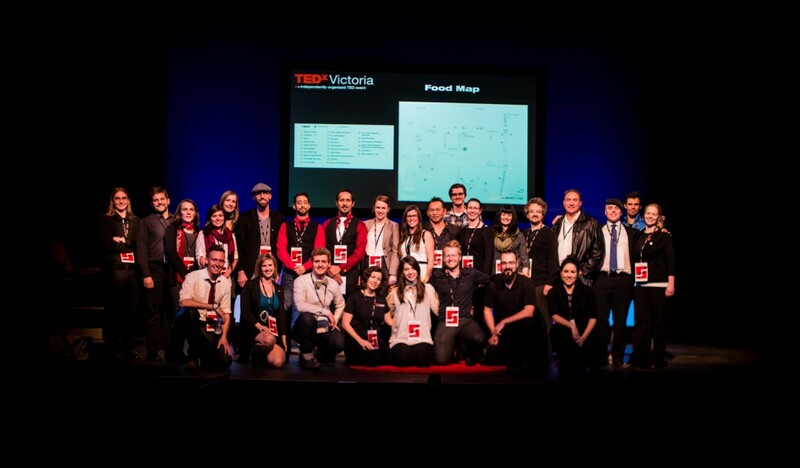 On top of that, Hilary volunteers with TEDx Victoria as human resources coordinator. It’s a big job because TEDx Victoria is run entirely by volunteers, and the Victoria organization has grown to become absolutely massive. 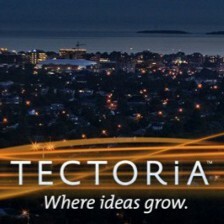 It’s another way the Tectoria community is continuing to evolve. In 2014 TEDxVictoria also expanded outside the McPherson theatre and into multiple venues in the surrounding area to expand the experience. Once again, like with RevenueWire it was a team effort that involved a lot of people, and Hilary was part of that team. That’s why Hilary represents Tectoria to us. She’s alway happy to pitch and and make our community a better place. Like hearing about awesome people like Hilary? Sign-up for the weekly This Week in Tectoria newsletter!